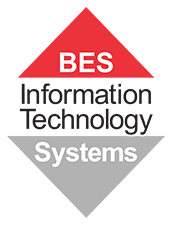 BES IT Systems is a Trustwave partner in Brisbane, Queensland. Trustwave helps businesses fight cybercrime, protect data and reduce security risk. With cloud and managed security services, integrated technologies and a team of security experts, ethical hackers and researchers, Trustwave enables businesses to transform the way they manage their information security and compliance programs. More than three million businesses are enrolled in the Trustwave TrustKeeper® cloud platform, through which Trustwave delivers automated, efficient and cost-effective threat, vulnerability and compliance management. Securing Email and Web Gateways: Protect your business against email attacks and ensure your users are safe and productive when they go online and receive email. Trustwave Secure Email and Web Gateways give your company the protection it needs to survive and thrive. Detecting & Responding to Threats: Monitor, proactively hunt for, investigate and remediate cyberthreats, 24x7. Trustwave Threat Detection and Response (TDR) services help you respond to threats faster so you can minimize – or even eliminate – potential damages. Scanning and Testing for Vulnerabilities: Extend beyond the perimeter with visibility and protection across critical assets to mitigate risk and better secure your IT environment. Trustwave can scan and test your databases, networks and applications to expose vulnerabilities and help you understand what could happen if attackers were to exploit these weaknesses. Securing the Internet of Things: Test, monitor and secure everyday objects connected to your company’s network by discovering weaknesses in apps, severs, APIs and cloud clusters and minimizing your risk of compromise. Trustwave’s Managed IoT Security helps you confidently develop, assess and adopt IP-enabled devices. We can assist your business with Trustwave solutions! Request a call back by leaving your details below and our local Brisbane-based experts will return your call within 3 business hours.